(S0302) When audiences look back to their favorite shows, they tend to label seasons to keep track of the timeline. 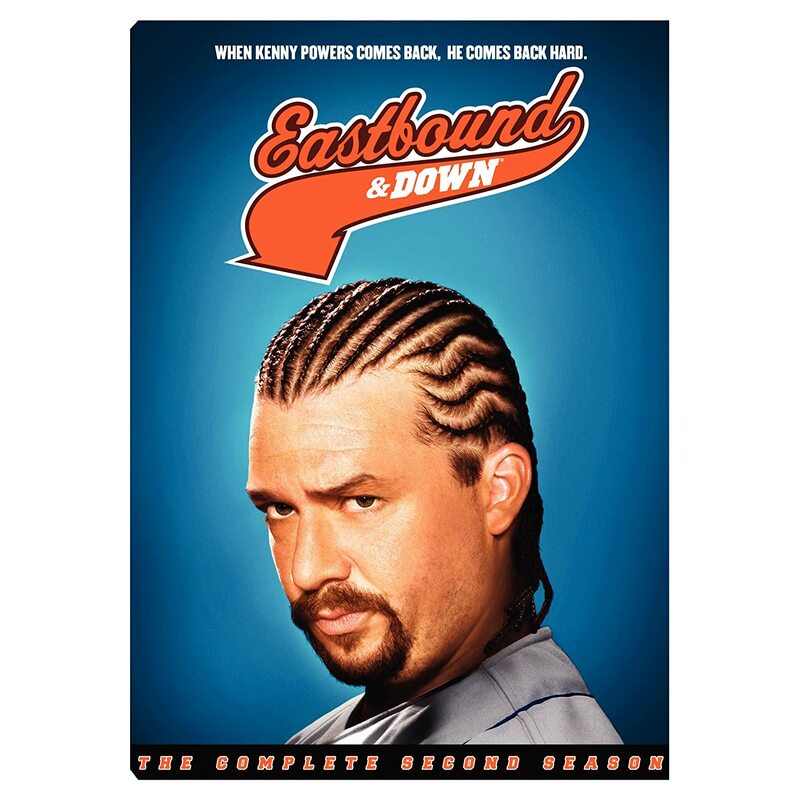 If Eastbound & Down was your typical bottom of the batting order comedy, its run would look something like a series of children’s books: “Meet Kenny Powers,” “Kenny Goes to Mexico,” and now “Kenny Raises a Baby.” But Kenny Powers – despite all of his anti-intellectualism and redneck raunch – is no simple sitcom character. Kenny’s comeback has always been more of a “come close;” his over-inflated ego keeps springing leaks, and he subconsciously self-sabotages every step forward he occasionally makes. He’d have you believe that he only helps others when it helps himself, but he makes some pretty selfish stretches to involve himself in what otherwise shouldn’t concern him. Facing eviction in a week, Stevie needs to make ends meet, which means subjecting himself to Schaeffer’s humiliation at his new dealership. Schaeffer had to give up his job with BMW after facing some criminal allegations; he holds Stevie hostage and Kenny in contempt for his failures, which eventually sends Kenny on a dangerous rescue mission. When Kenny can’t convince his brother Dustin to raise Toby as his own, and can’t bring himself to send the baby down the river like Moses or the baby in Willow, his mind turns again to Stevie. Kenny finds Stevie entertaining Schaeffer’s dinner party dressed as a geisha, but before he can make an exchange of hostages, Schaeffer’s insidious spawn knocks Kenny over the head with a golf club, disarming him of his katana. Schaeffer takes his guests outside to his plantation, where he makes a sport of firing a Civil War cannon at a fleeing Kenny and Stevie. Maria saves the two of them in Shane’s truck, getting a cannonball lodged in the back in the process.